Consider everything from new construction to the fall return of faculty and students. Because school safety is a fast-growing concern, consider developing a checklist of known and unknown needs to address over the summer. No longer can any school think nothing bad will happen. Schools must prepare for all hazards and crises. Remember: If the footprint of the campus changes, emergency preparedness changes. First, take stock of any construction that has started or will start in the summer. Remember: If the footprint of the campus changes, emergency preparedness changes. A new building, venue or remodel may present new challenges involving evacuation, security and emergency preparation. Review and update the emergency operations plan. Regardless of whether the campus footprint has changed, employees always change. Annually updating the emergency operations plan (EOP) personnel assignments and procedures, replacing maps and modifying procedures themselves is essential. Perform preventive maintenance on locks, gates and doors. These are the most important items to secure on a campus each day and, more importantly, in the event of a lockdown. Having a maintenance schedule to keep these crucial campus safety functions operational is vital in safety and security. Meet with local fire department and law enforcement and provide them with the updated EOP, campus maps and emergency contact information. Reviewing your plan with emergency services ensures a safe and smooth response. Prepare the emergency training schedule. In order to ensure that faculty and staff are ready for the school year, we conduct security and safety training for employees, administrators and the crisis management team. We also schedule CPR/AED/first-aid training for new employees and re-certification for current employees. Audit emergency preparedness items. This includes reviewing our 72-hour supply of emergency food, water and equipment. We remove all items from the storage location to check against damage by animals, and we make sure all equipment is still operational. We check to see if batteries need replacing, emergency generators and power supplies are working, and there are sufficient supplies for the total number of students and employees. I like to add 20 percent more to that total in the event we have visitors or there are local community members who may need help. Review evacuation procedures. We update each homeroom list and evacuation procedures. This process includes reviewing emergency contacts for each student, updating health records, and creating hardcopies for an on-campus or off-campus evacuation. Our campus safety staff physically checks the school’s evacuation locations to make sure everything is still available and accessible. Test fire safety equipment. 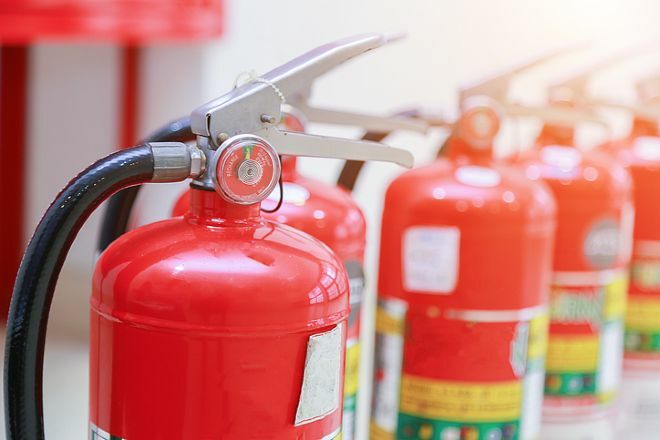 We test fire sprinklers, fire alarms, the emergency lighting system, fire extinguishers and smoke detectors, and we make sure our first-aid equipment is ready. Are you located near other schools, and did any of them change their start or departure times? This may affect traffic coming and going to your campus. Reach out to the local schools and get copies of their master calendars. There are five schools within two miles of Viewpoint. Are you located near other schools, and did any of them change their start or departure times? This may affect traffic coming and going to your campus. Have you tested your emergency notification system? Viewpoint School utilizes the Valcom Mass Notification system, which sends messages via telephones, LED signs and indoor/outdoor speakers. It is important to test the system during the summer when there are limited staff on campus. Is your security staff internal or a contracted company? Summer training should provide ample time to review training procedures for events such as active shooter, medical trauma and verbalization/de-escalation, as well as policy procedures. Be sure your security team is aware of school policies, the mission statement and the vision to share the common goal of the school community. Have you scheduled maintenance of electronic security equipment? Video cameras or alarm systems should be checked regularly. Most electronic equipment will not last forever, and video camera technology changes yearly with better quality and capture capability. What is your visitor policy, and do you have a visitor management system? Are you conducting monthly emergency drills, including lockdown drills? Do you have or need EMTs or specialized trained personnel? When did you last review your emergency plan and security plan? Have you performed a security audit? Start your audit once school is underway for a real-time evaluation. However, never stop doing internal audits and reviewing security. When employees return to campus and buildings are clean and ready for students, it is time to complete the final items on the safety checklist. One of the last things I do before students return to campus is walk and drive the campus. I drive through the drop-off and pick-up locations, making sure signage is viewable, speed bumps are in place, and traffic control devices are in place for parents dropping off their children on the first day of school. Then I walk the campus to ensure everything looks good, safe and ready for students. I move items out of the walkways, check lighting and make sure no hazards are present. A safe environment creates a great learning environment. Each school is different and has different security needs, but every school needs a safe and secure campus. Carlos Sanchez is director of campus safety at Viewpoint School, a K–12 day school in Calabasas, California, with 1,200 students.